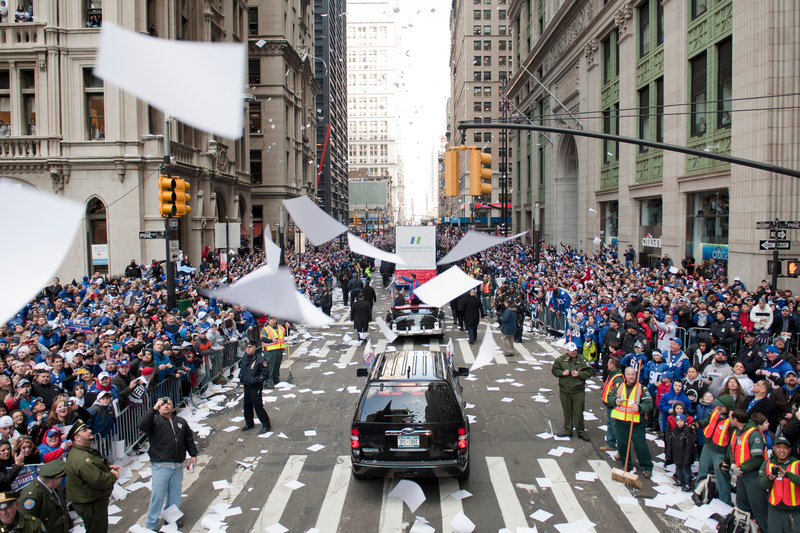 Will there be another Super Bowl Parade in NYC in 2014? The NFL Season may have just started, but we’re already getting excited about its conclusion. At the end of this season, for the first time ever, the Super Bowl will be played at MetLife Stadium, home to the New York Giants and New York Jets. This will be the first Super Bowl in the history of the NFL that will be played in an outdoor stadium in the northern United States, meaning that for the first time ever, frigid weather may play a huge factor in the game. It’s going to be an historic day, and right here we are going to provide you with all of the latest, most up to date info about the event. So bookmark this page and check back regularly so you don’t miss out. When is Super Bowl XLVIII? The 2014 Super Bowl in NY/NJ will be played on Sunday, February 2, 2014. Where is the 2014 Super Bowl being played? The Super Bowl will be played at MetLife Stadium, home of the New York Jets and New York Giants, in East Rutherford, NJ. What is Super Bowl Boulevard? In the week leading up to the big game, the stretch of Broadway between 34th and 44th streets will be closed down for a free, outdoor, interactive football themed experience for fans. Super Bowl Boulevard will be open to the public from January 29-February 1, between noon and 11 p.m. daily. What can I do at Super Bowl Boulevard? Autograph Sessions: Between 39th and 40th streets you will find current and former NFL players signing autographs from noon until 6 p.m.
What’s the weather going to be like during Super Bowl Week? Remember, bookmark this page and check back soon so you can stay updated on all of the happenings of Super Bowl XLVIII in NYC!